Slinghot built in 2014 for our own use. Built in chrome moly, and tagged to 6.00, with the exception of large item chroming (front axle, steering linkage) all work including ally body panels and paint has been carried out "in house". Detailed photographs can be found in Gallery under Black Pig Too 2014. 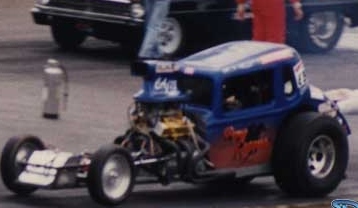 Pony Express Altered acquired in 2004 as a rolling chassis with body. Work included engine and transmission install, fuel tank and exhaust fabrication, engine build, new roof section with moulded in hatch and fresh paint throughout. Renamed Black Pig. Slingshot built in 2009, for our own use. Built in mild steel and tagged to 8.50 all work including 'glass moulding and paint was done “ in house”. 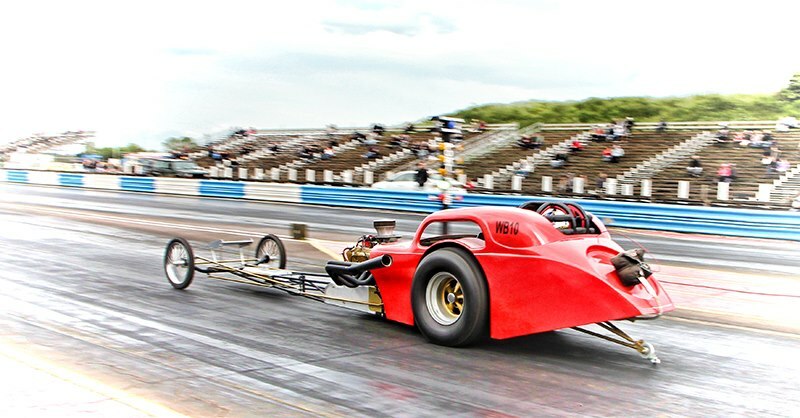 We spent 3 years racing this at both Avon Park and Santa Pod. Sold at the end of 2012, now called Ellie's in Trouble Now. Detailed photographs in Gallery under Black Pig Too 2009. Competition Coupe built in 2010 to Customers specification. All in mild steel and tagged to 7.50. Body and finishes are by Customer. The car runs a pair of FieldCraft fabricated wire spoked wheels. detailed photographs in Gallery under Cunning Coupe. The car arrived as a complete but older build. We stripped the front end, blasted it, repainted and refitted it, taking the opportunity to change the alignment slightly adding another 2 degrees KPI and remaking the control links. 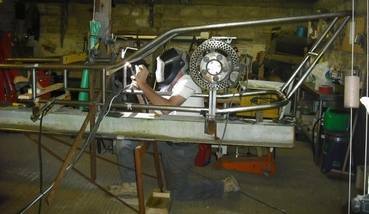 The body was delivered “raw” and we re-profiled it in several areas, built a tubular sub frame, bonded it in and mounted it to the chassis. We cut a roof access and bonded a further tubular frame around it. A fire wall was made and bonded in along with several aluminium trims and a parachute mount. 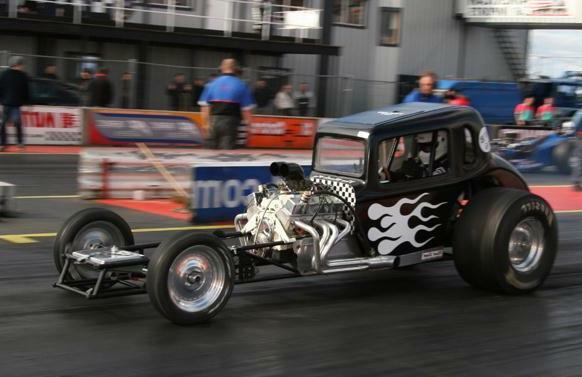 The car was rewired as needed and a new exhaust built before the car was sent for paint.